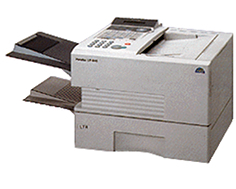 At the time of the Panasonic PanaFax UF-990's release, fax machines often used flimsy, very thin thermal paper to produce mediocre quality output. This Panasonic, however, utilizes plain paper for faxing that allows the device to double as a laser printer, as well as a scanner. The Panasonic PanaFax UF-990 has the option of dual line transmission. With dual line, users can not only send and receive two faxes at once, but they can send a fax while simultaneously receiving one. It's almost as if the buyer is getting two fax machines in one. Though the device is entirely sufficient as a stand alone fax machine, a built in USB port allows it to function as an MFC. Printing, scanning, and even copying is possible with the device, making it much more versatile than older, single function fax machines. The built in automatic document feeder is larger than one usually finds in a desktop fax machine. With a 70 page capacity, the ADF can automatically transmit a huge workload worth of hard data without user intervention. The unit's fax speed of 33.6 Kbps is also up to par with industry standard. Additional, convenient features include text and image recognition, an edit file mode, check and call mode, receive collation stack mode, remote diagnostics, fax forwarding, distinctive ring detection, ITU-T sub address and even an optional headset that would allow users to make a regular phone call from the device by way of the dedicated numerical key pad. Print and scan speeds are fairly standard, if not below average, for the Panasonic PanaFax UF-990. Transmitting at a speed of around 6 seconds per page, or 10.2 pages per minute, with a scan speed of 0.9 per minute, the unit is certainly not as fast as one would hope for. Current MFCs are easily capable of doubling this aging unit's speed on all accounts. Resolution is also lacking for a laser printer due to a maximum of 600 x 600 dots per inch. 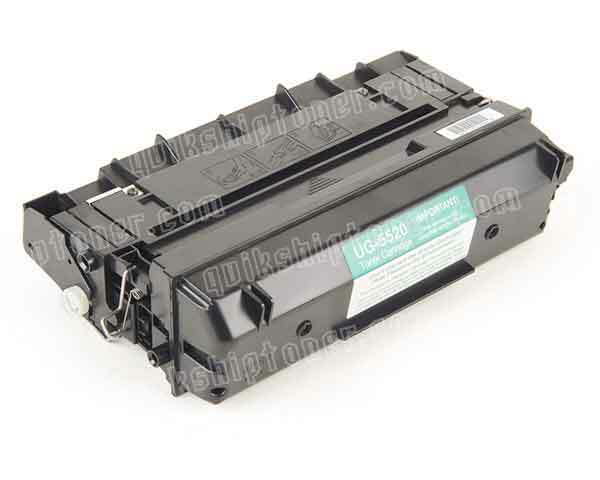 If the unit is to be used primarily as a fax machine, this quality level is more than enough, but as a printer, the device will be limited exclusively to text quality. The reduction and enlargement features of the unit are very limited, with only a 70% reduction ratio. Though the unit is primarily a fax machine, it would be nice if the copy functions were considerably more versatile. The scanning functions of the device are absolutely horrible, with a maximum scan resolution of 400 x 400 dots per inch. A scan resolution this low is so atrocious you would literally have a hard time finding a device out there with specifications this bad. Compatibility is also very limited for the unit, as Macintosh systems are not supported by the device's firmware. 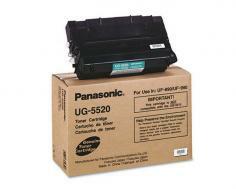 Review it: "Panasonic PanaFax UF-990 "
The Panasonic PanaFax UF-990 has a very straightforward toner setup. Its standard toner supply comes in the form of a fairly high yield 12,000 page cartridge, which is relatively inexpensive, considering its overall output.